As soon as I heard about this blog tour, I had to sign up. Needless to say that I am a major fan of Phantom of the Opera, so a modern-day book following the same events that unfolded during the actual play/book is pretty much my idea of heaven. Here is my review of the novel, and an amazing giveaway to win not just a copy of the novel, but some other Phantom goodies! Now I'm a bit at odds with this novel. On one hand I want to rave about how amazing the last fifty or so pages were, as in literally the personification (booksonification?) of un-put-downable; it felt like it was glued to my fingertips. But then on the other hand, I want to rant about how disappointing I found it. Well, not exactly disappointing, it was definitely good - but I think my expectations were too high, and that's why I feel like it was a bit anticlimactic. But let me explain. Now I thought the premise was amazing. It sounded like the book would be interesting, full of suspense, and just an overall unique read. And it was. But it also had the dodgy love triangle going on, as well as a main character who is a direct cross between Twilight's Bella Swan, and Fifty Shade's Anastasia - a combination that nobody wants to see. Let me first explain the characters. Justyn I absolutely adored - he was individual, witty, charming, and just overall a lovely guy. He's one of those main characters that you can't help but love. Tom was a bit irritating, but your typical high school jock, so tolerable. I also liked Carmen and her hot-headedness - she seemed to be one of the only characters that wasn't seemingly oblivious to Rebecca's annoying personality. And then we get on to Rebecca herself - the one thing that I think made this book a disappointment for me. I did go through a stage where I could only read one chapter at a time, because the character made me so furious. She's supposed to be this timid violinist who is invisible and ugly - then suddenly she gets the main role in a play and BOOM the popular guy loves her, everyone wants to be her, she's got people fighting for her left-right-and-center, and she's suddenly gorgeous. Anyone that has been following my reviews for quite a while will know that I detest weak female characters like this, and she was basically the personification of all my hate. That was the only thing that I really didn't like about this novel - yeah, I will complain about the love triangle, but I could have put up with that. It was just Rebecca I couldn't deal with. A few people may reply saying that perhaps Christine is just as equally annoying, and so therefore DeLuca's representation of this character was quite accurate. Yes, Christine can be a bit irritating at times - but with her, her attraction to the Phantom and her security with Raoul are so realistic that you just can't find it anything but beautiful. Phantom of the Opera, for me, shows the story of a girl torn between her heart and her head. I think DeLuca tried to portray this, and whilst she mostly did it brilliantly, this whole deal with Rebecca for me just didn't work out. It's a small aspect of the novel, but because the story is told from her point of view, it did ruin it a bit for me. Now onto the love triangle. As I said, Rebecca was supposedly this invisible ugly girl, yet she gets the part and she may as well be a celebrity. Tom, the high school hottie who never paid attention to her but who she's been in love with for years, suddenly decides he has a desperate crush on her, and makes an utter fool of himself. In my experience, getting the main character in a high school musical is not something that makes you popular - so why the heck would some guy who's never noticed this "invisible" creature before suddenly be interested? Beats me. And then you have Justyn, a new guy who is a stereotypical goth, who is also falling for invisible Rebecca. I think if DeLuca had made it a bit more realistic - you know, giving Rebecca and Tom a bit of history, and not making Rebecca out to be, at first, the most unpopular girl to walk on the face of Earth, because that just again made me think of Twilight and how that love triangle was forced on us. That's all there is to it - the love triangle here was forced, which I thought was a shame, because in the actual novel and production, it is such a natural and beautiful thing. It wasn't the worst thing in the world, but it did grate on my nerves. All I can say is thank goodness DeLuca wrote Carmen in - she seemed to vent my frustration at Rebecca and the triangle out for me. I don't want this to be a bad review, because I genuinely enjoyed the novel, especially towards the end. The ending was absolutely breathtaking - it had all the suspense and fantastic structure that I had been hoping would be making an appearance throughout the entire book. But in this case, I think it's better late than never. 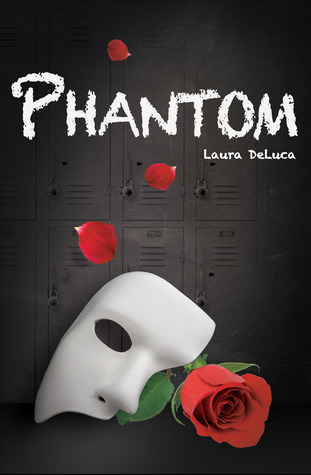 I think is you are a fan of Phantom of the Opera, you should definitely give this book a try - it is a great take on the famous production and book, and with such a high standard to live up to, DeLuca did really well. It was a shame that I didn't gel with Rebecca, but I still raise my hat off to Laura for writing a really good novel. I do recommend it, and I am looking forward to the next installment into the Dark Musicals trilogy, which will be Demon, an adaptation of Sweeney Todd: The Demon Barber of Fleet Street. Like the sound of the book? 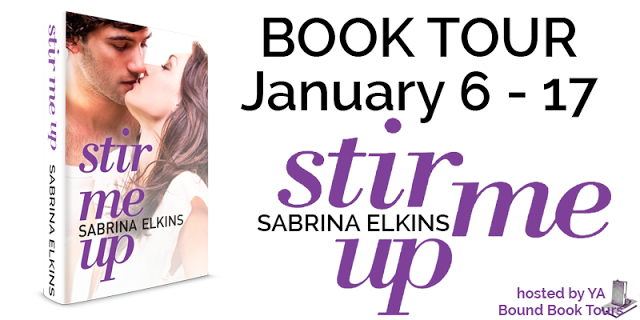 Then enter to win a signed copy (I'm jealous! 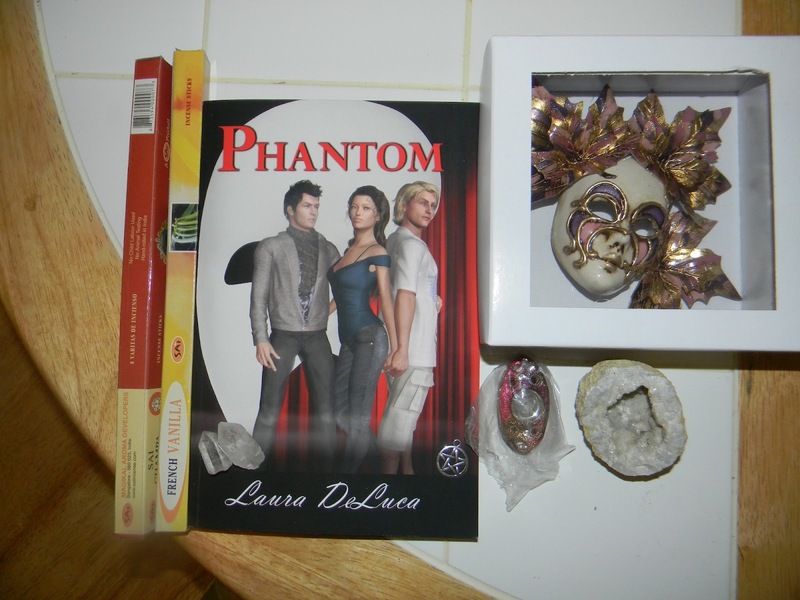 ), along with other goodies, including some an awesome geode, a pentacle, and a porcelin mask figurine! 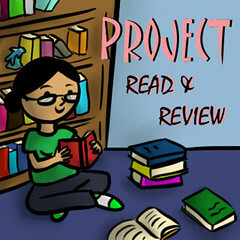 Very interesting and thorough review! I'm a huge fan of The Phantom of the Opera (I've read essentially every book having to do with the story even a little bit), so it's always exciting when a new book comes out. Great, honest review. Thanks!